Ideal for price tags, bar codes, and shipping labels. Smooth finish ensures quality printing. Permanent adhesive adheres to most surfaces. 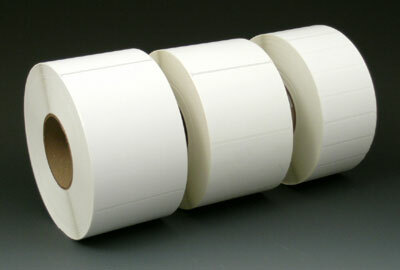 Perforated on rolls and made to fit most thermal printers. Thermal transfer labels require a printer ribbon; sold separately. Perforated between labels. Call for details about additional sizes.